every day to pay down debt on your home mortgage. When you use every available dollar to pay down your debt ALL THE TIME, your daily interest charges are reduced and doing so over the life of a loan has a tremendous compounding effect. This compounding effect will help you reduce the term of your loan by several years and save thousands of dollars in interest. Having a monthly balance in a checking account is NOT a good idea (money in a checking account earns you zero or very little interest and that interest is taxed annually). It is always best to use all available dollars ALL THE TIME to pay down the debt on your home. 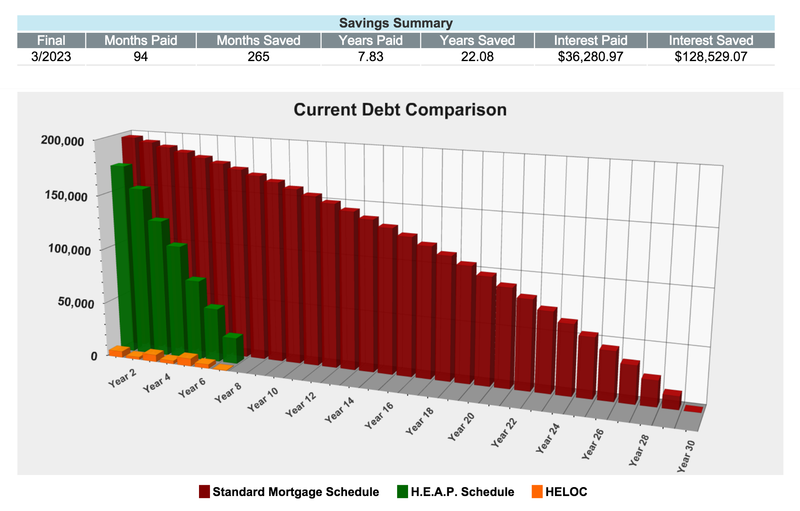 Heap Plan™ | Home Equity Acceleration Plan | The Wealth Preservation Institute.